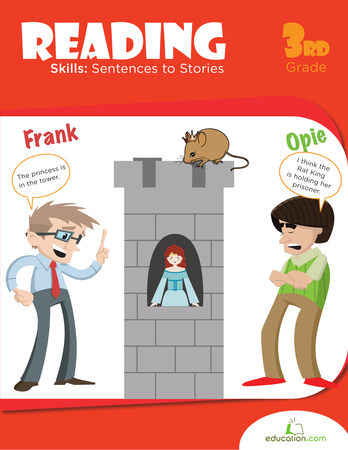 These resources help upper elementary students master the power of persuasive writing. 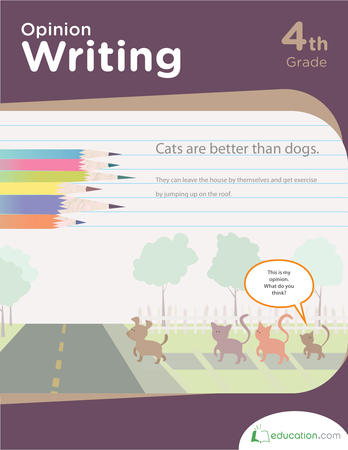 From effectively organizing a paragraph to completing persuasive writing props, these worksheets and activities will help students understand opinions and improve their writing skills. Lesson plans also help teach persuasive writing by encouraging students to express their opinions. To continue improving writing skills, try out our Narrative writing resources. Have fun with functional and informative transitions with this cooking-themed activity. Students will solidify their knowledge of important transition words to improve their sequencing and informational writing skills. Second graders love food! Help your young writer share their opinion about the best kind of food using this helpful paragraph organizer. Fair warning, this activity might make you hungry! This fun, fantastical writing prompt is a great way to practise persuasive writing, an important part of upper-elementary composition. 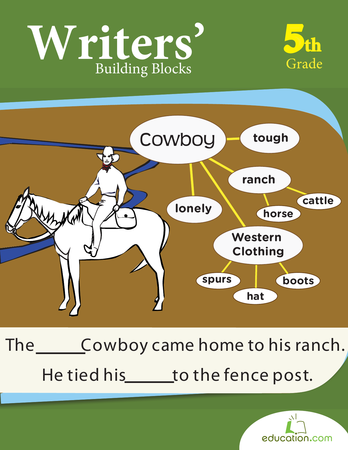 Build strong writing skills with this fun activity on persuasive writing. Kids will use real life scenarios to practise writing strong arguments. Teach your students the power of persuasion by preparing them to write persuasive letters. This lesson, complete with brainstorming activities, allows young writers to unlock their inner rhetoricians. If your little writer needs help organizing to write that big essay assignment, give her a helpful cheat-sheet full of tips on making an outline. It's never to early to start dreaming about the future! 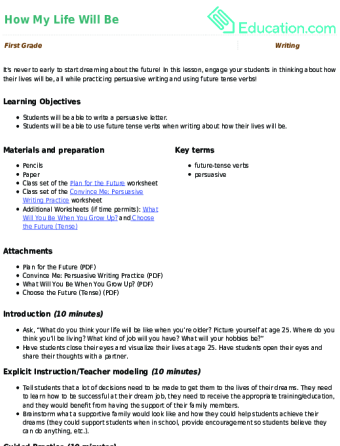 In this lesson, engage your students in thinking about how their lives will be, all while practising persuasive writing and using future tense verbs! It’s fun to dream about the future! In this activity, students write a persuasive paragraph about why their dream career is a good choice. Second graders love field trips! Help them share their opinion about the best field trip location while using this handy paragraph organizer. 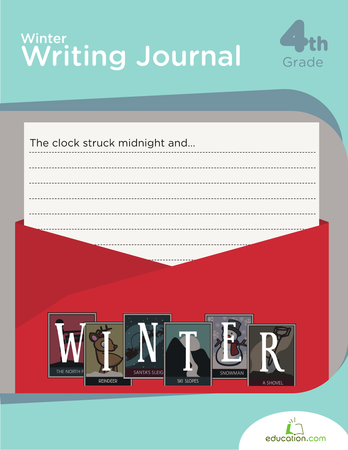 Whip up a flurry of creativity with these writing prompts; a perfect addition to any writer's journal. Play with story cards, write out winter goals and go on writing adventures in winter scenarios. Your students will try their best to convince their school principal that they need more recess during this letter writing lesson. The written word can change minds, but only if you teach your students the fundamentals of persuasive writing. Persuasive writing relies upon evidence to change actions and thoughts. 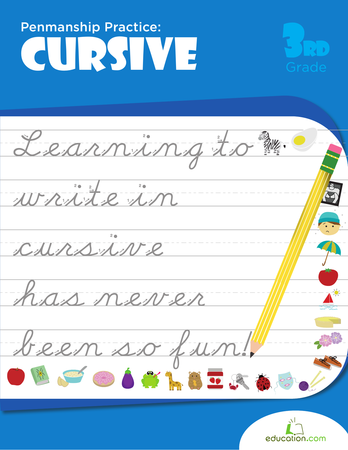 These persuasive writing resources help develop the skills students need in order to learn how to write persuasively in upper-elementary classes. 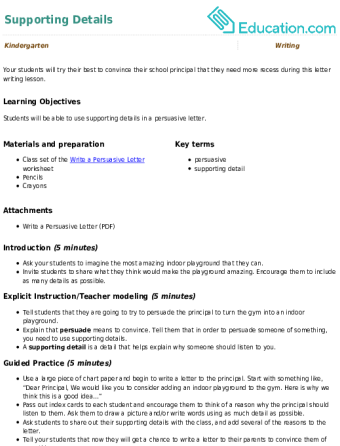 Worksheets help with persuasive writing by focusing on how to structure a persuasive paragraph and how to identify relevant evidence. Students can also learn skills associated with persuasive writing through fun activities, such as writing a script for a commercial or creating a pamphlet for a cause. You may be thinking the last thing you want to do is encourage your kids to argue, but help with persuasive writing will also develop students critical thinking skills. As with all writing, good GrammarWill help improve persuasive writing.